Stephen King once said on CNN Money that books themselves aren’t important since they’re basically just a delivery system for a story. But they’re much more than that: they’re canvases. I know. I’ve been painting on mine for years. It started in college when I first bought books that weren’t required reading. 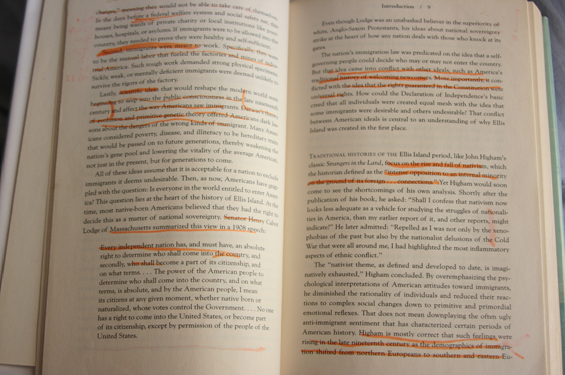 I’d already been highlighting textbook passages with yellow marker, and scrawling my name inside, so of course I wrote my name on the first page of these books, too. But I also put down the date of the purchase, the book store, a recent event, and who I was with at the time. These scrawls sometimes proved amusingly opaque years later. Like: Great news on Wednesday. What about? Or: Argued with N. Who was N? And why were we arguing? Was it before I bought the book, after, and was the book connected in some way? I’ve tried going back and comparing my journal at the time, but the cryptic notes don’t open up their secret to me. More often, though, the inscription refers to a lunch with a lover or friend, and the scene opens up for me in a whole new way. Having known for a long time that I wanted to be a writer, once I started buying books as a matter of course, anything I read was also a subject of study. 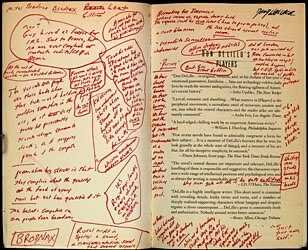 I underlined passages, circled words I didn’t know or wanted to use, bracketed or starred phrases worth remembering and quoting. Sometimes arrows would point to another page so I made sure I remembered a connection for later. Great lines got the full treatment, and I’d note their pages in the front or back of the book, along with an identifying word or two, sometimes the whole phrase if it was memorable. The more dedicated I became to writing as a career, the more the books I owned became a repository of ideas, notes, questions, descriptions of dreams inspired by the book, even short journal entries. It usually felt more immediate to keep the source of my inspiration and the idea closely connected. Some books have story titles, metaphors, character descriptions, opening lines written in the back or front — and even in-between. More than a few have whole scenes worked out. My books are also unexpected time capsules. I’m always running out of bookmarks, so many older books have had receipts, notes, to-do list and even letters tucked into them. Once I started reviewing for The Detroit Free Press and other newspapers and magazines in the early 1990s, the intensity of my entrance into each book deepened. Though I wrote drafts on my PC, I usually started the review somewhere inside the book unless I wanted to pass it on to a friend or relative later. Then I’d have to restrain myself, keep pencils and pens away from the book at hand. It wasn’t easy. Biographies are a passion of mine, and whether I’m reviewing the book or not, they still seem to call out running commentary as I compare my life to the one I’m reading about. But I don’t tend to write much snark no matter what the genre, because if a book pisses me off that much, I’m not likely to finish it. I do correct typos now and then. I can’t resist. Occasionally a book feels so much like a freight train car covered with graffiti that if I want to reread it, I just buy a new copy of the book. There it is, virginal, unmarked, waiting for me to dive right/write in. But I also keep the previous copy or copies because they form a small diary of my relationship to that text. I do have dozens of books on my iPad, but while I enjoy the convenience and speed of downloading, I miss the physical interaction. Every book tells its own story, but the books in my library tell my stories as well. Lev Raphael is the author 26 books in genres from memoir to mystery. He teaches creative writing online at writewithoutborders.com. What’s Better Than Re-reading a Book You Love? I had been a fan of historical fiction for a long time and when I discovered Bernard Cornwell’s Saxon Tales, I was in heaven. The return of The Last Kingdom to Netflix reminds me how wonderful it was to assign that book for a class reading popular fiction in a wide variety of genres. The hero is Uhtred, a dispossessed young noble from northern England in the 9th century, during the reign of King Alfred. Uhtred is descended from kings but his rightful claim to an impregnable fortress where he grew up has been usurped by his uncle, and Uhtred is burning with the desire for revenge. It’s what obsesses him through the entire series. Alfred was known for his piety, his strategy, his culture, and his determination to drive the Danes from his realm of Wessex in southern England and the other kingdoms England was then divided into. Glamorous, hot-tempered, man-of-action Uhtred has a complex relationship with this intellectual, pious king whom he ends up being bound to in life-changing ways. Breaking an oath of allegiance in this period was more than dishonorable–it could brand you for life as untrustworthy and shameful. Uhtred has grown up with a split identity: raised English, he was captured by Danes as a child and identifies as a Dane, which makes for tremendous conflict, both internal and external. He’s a part of both cultures, both peoples, and lives out his cultural conflict almost daily with most of the people he meets. Teaching the first book in the series, I had students talking about expectations and conventions in historical fiction, which many of them hadn’t read before. We moved on to discussions of Cornwell’s use of sense detail, his honest depiction of violence, the role of women in both Saxon and Danish societies as he portrayed it, the impact of the story being told by a first person narrator. Many of them were put off at first by the alien cultures but soon found themselves compelled by the story telling. I fell in love with the book all over again during the two weeks we spent discussing it with my students. It felt new, fresh, and exciting. TV reviewers are telling readers that this show is a good stand-in for The Game of Thrones. Maybe. The books couldn’t be more different. Martin is a genius at world building on an epic scale, but Cornwell’s books are tighter, move faster, and with rare exceptions stick with the same point of view so that you’re immersed in just one character. 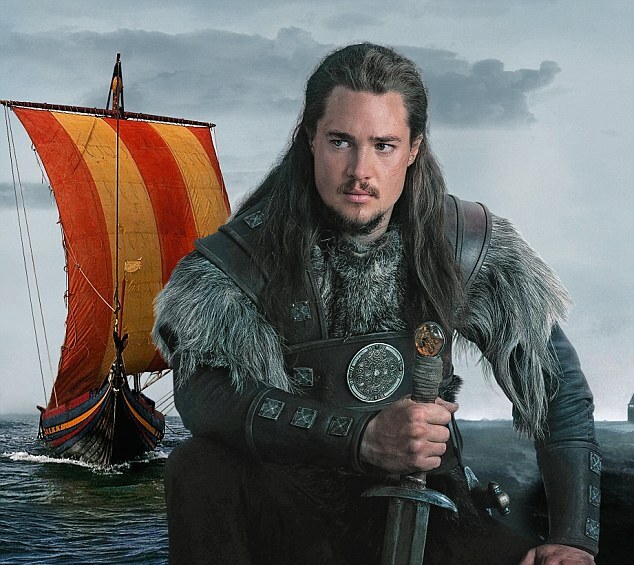 The Last Kingdom is a brilliant mix of deep psychology and high adventure. It’s hooked me all over again and I’ve started re-reading book two in the series…. Question: what book have you been re-reading lately? Authors: Do You Want To Conquer Kindle? Bad prose is apparently essential. There was nothing about the books as books–these papers all tout her success, not her writing. It made me wonder if Ross might be a phenomenon like the author of Fifty Shades of Grey. That is, a huge bestseller despite ridiculous characters and laughable prose. I downloaded a sample of Ross’s Holy Island, her debut novel which is set on Lindisfarne Island off Northumbria. But I couldn’t make it past the first few pages for a number of reasons. The clichés of “huddled together for warmth” and “crashing waves” put me off. The larger cliché is a tired crime fiction trope: the trapped woman. A bit further on Lucy tries to “feel her way to the edge.” What edge? We never learn. She calls for help and hears someone approaching: “The footsteps maintained their unhurried gait and followed their inevitable path.” People maintain a gait, not their footsteps. But the author separates other things as well when she writes “Her mind struggled to process the words, to believe her ears.” Is her mind some separate thing unconnected to her? Wouldn’t just saying “She” be simpler and more accurate? I read across genres and love good story-telling, but I can’t waste my time on writers whose writing is below par. Especially writers who have people dying awful deaths suddenly thinking of something pleasant just before they die—in this case it’s “home.” That’s another tired fiction moment. Even the Amazon description of the book is poorly written, because it claims that the island of Lindisfarne is “cut off from the English mainland by a tidal causeway.” Causeways connect islands, but perhaps whoever wrote that was in the spell of her prose. Bad writing can sometimes be hypnotic. Lev Raphael teaches creative writing workshops at writewithoutborders.com. I do have writer friends who can produce a book (or more) a year no matter what kind of crisis is hitting them at home. Contracts pull them through. That, and stubbornness. I couldn’t work with so much pressure; I’d feel like I was on an assembly line…. I was recently at a party and someone asked me what I was working on. I said, “Nothing. I published my 25th book last Fall. I’m taking time off.” He looked at me like I was a slacker or something. But that’s not an unusual response. It could be the very same week there’s been an article in a local paper or a radio interview. Really. As if I’m churning them out on an assembly line with the help of a team of research assistants. And if I don’t have news about another book in press, I often get blank stares. What’s wrong with me, am I lazy? seems to be the unspoken assumption. Okay, publishing 25 books in different genres over the last 25 years isn’t shabby — but they haven’t come out on any sort of regular basis. Some years I haven’t published anything and one year I published three different books just because that’s how the publishers’ schedules worked out. In case that sounds like I’m Type A, I should explain that my second novel took almost twenty years to finish. Yes, twenty, working on and off because I kept re-conceiving it. I’m glad I did, because The German Money got one of the best reviews of my life. The Washington Post compared me to Kafka, Philip Roth and John le Carré — and I was sent on book tours in England and Germany to promote the editions published there. But some books took me only six months to write from concept to completion for various reasons. And another book was fairly easy to put together because it was a collection of already-published essays and didn’t need extensive editing. So it’s all highly unpredictable. You can’t explain that to the cheerful guys who call you “Dude!” and ask about your next book while you’re on the way to the showers just wearing a towel and flipflops. Or people who decide to chat with you while you’re sweating on the treadmill. Or the people who think that popping out another book can’t be that difficult since it’s not like I have a real job, anyway. Nah. I’ll just blog about it, or write them into my next book. Whenever. Lev Raphael teaches creative writing online at writewithoutborders.com.